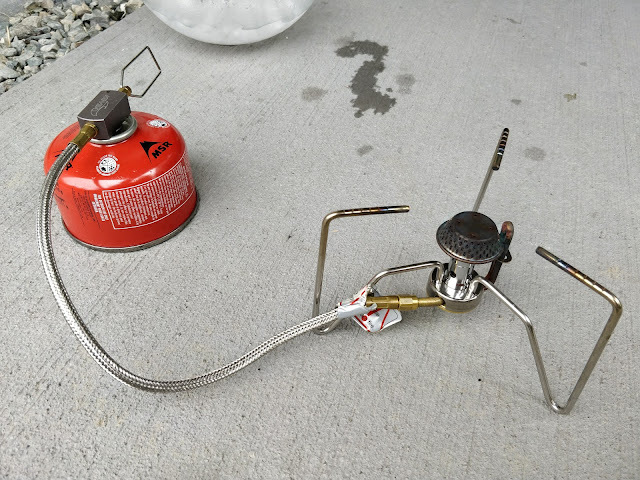 I've recently bought G-works Gas Saver R1 to transfer gas between gas canisters for backpacking (the lightweight ones with isobutane/propane mix). I'm happy to report it worked great. I've successfully emptied a 220 g (8 oz) canister that had about 30 g of fuel left into a small (110 g/4 oz) empty canister. Then I took a completely full 8 oz canister and transferred 70 g of fuel from it to the small canister. It's necessary to create a difference in temperatures between the canisters. I put my receiving canister in a bowl of ice. I didn't heat the donor canister. The 30 grams of gas from the almost empty canister transferred to the completely empty canister within a minute. The 70 grams of gas from the full canister transferred within maybe 20 seconds. I had a kitchen scale on hand and frequently checked the receiving canister to ensure it's not over capacity. I got the idea from the Adventures in Stoving blog at https://adventuresinstoving.blogspot.com/2017/03/the-g-works-r1-gas-saver-refilling.html. This worked great, the process is quick and easy, and I expect to use this nifty device extensively. Transferring gas. 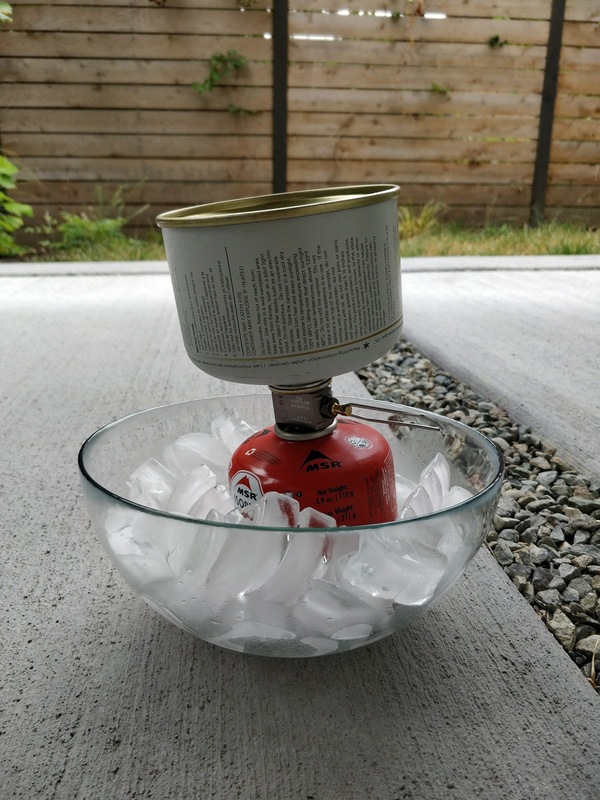 An empty receiving canister sits in a bowl of ice. I haven't done anything (i.e., heat) with the donor canister. Testing the result with my Kovea Spider stove. The flame is not visible in the photo but it was burning nicely.